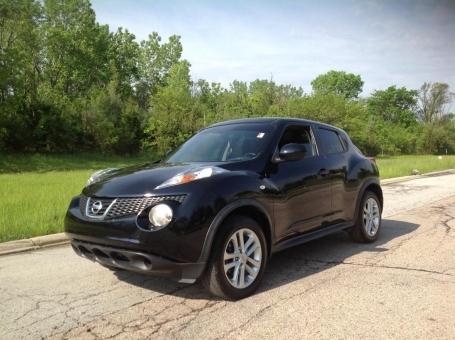 This 2011 Nissan Juke SV is a small crossover SUV with a fuel efficient 4cylinder engine, a six speed manual transmission, and a nicely appointed interior with black cloth seats. This edition is newly detailed, super clean, very sharp, and drives very well. The seats and carpets look great. The Juke has sporty good looks, capable handling, and is fun-to-drive. The Juke is a wise choice for small, active families. Options include a sunroof, power windows, mirrors, locks, alloy wheels, IPOD interface, keyless start, AM-FM stereo with CD player.